The individual must have made exceptional contributions that have furthered the growth, reputation and character of the sport of karate, been active for a number of years on a national or international level. This includes individuals who defined the nature of the sport or its competitive spirit, or contributed to make special contributions, in the context of their day. The nominee must have been active on the national level as part of the coaching staff of the USA Karate Federation and who represented the highest level of competition, sportsmanship, integrity, and character and made a major contribution to the development of the USA Karate Federation National Team. The nominee must have represented the highest level of integrity, character and ability. They should be amongst the finest referees and judges that USA Karate Federation had participating on either a national or international level. Since 1976, the USA Karate Federation through itself and its forerunner AAU/USA Karate has recognized those who have made significant contributions to the Olympic Karate movement. In 1997 other SIGNIFICANT NATIONAL MARTIAL ARTS FEDERATIONS decided to have their Hall of Fame inductees honored along with those of the USAKF. 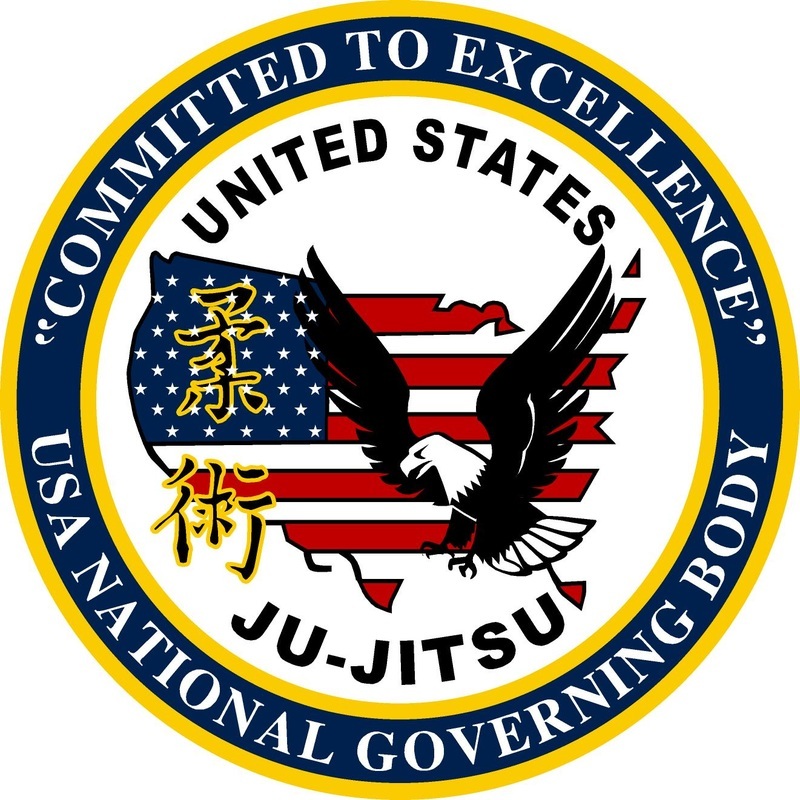 In the past, honorees of the US Ju-Jitsu Federation, the USKA Law Enforcement Division (PSDI), the US Kobudo Federation (World Kobudokan), Global Martial Arts Federations, and the Central Taekwondo World Tae Kwon Do Chang Moo Kwan have participated in the USA Karate Federation Hall of Fame. At this induction, the Police Self-Defense Institute (PSDI) is participating. It is not easy to get into the Hall of Fame. Having money, having many students, having good PR --- and all those things DO NOT INFLUENCE our Hall of Fame selection committee. Outstanding achievements and dedicated work of an extraordinary level must be seen. DEDICATION, PERSERVERENCE, SINCERITY, EXCELLENCE and ACHIEVEMENT ARE the keywords. 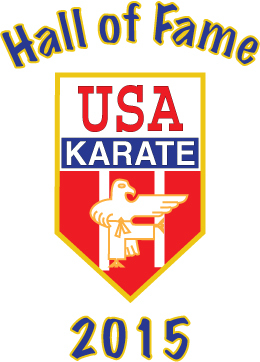 The USA Karate Federation Hall of Fame began with the efforts of the AAU Karate Committee (which was to become the USAKF) to IDENTIFY those special people who made OUTSTANDING CONTRIBUTIONS to the progress of karate in the United States of America. Those persons selected were given an annual award. At that time the awards were called—DISTINGUISHED SERVICE AWARD, or, in actuality, the MAN OR WOMAN OF THE YEAR and the ATHLETE OF THE YEAR (the Centurion Award [for athletes]) and the GE Anderson Distinguished Service Award. From 1976 to 1997, the National Hall of Fame was not formally located, but the ROSTER OF THE RECIPIENTS AND nature of the highly coveted earned honors were STUDIOUSLY MAINTAINED. In 1996 the USAKF declared the USA Karate Federation National Office in Akron, Ohio a KARATE MUSEUM and the OFFICIAL LOCATION of the Hall of Fame. The Hall of Famers were no longer just talked about, there was now a PLACE where their MEMORABILIA AND TROPHIES of great significance could be kept. Additionally, a world-wide web site was DEVISED TO MEMORIALIZE the individual members of the Hall and to make their accomplishments known, a site where everyone could come to view and study the RICH HERITAGE OF OUR ARTS CREATED BY US in this country. In 2009 with the passing of Hanshi George E. Anderson, the Hall of Fame memorabilia was transferred to the USA National Karate-do Federation. The USANKF has not moved to institute its Hall of Fame and it is doubtful they would recognize those who contributed so much to the USA Olympic Karate Effort under the USA Karate Federation. Thus, the USA Karate Federation has convened this special Hall of Fame in the Year 2015 to recognize those who have made the contribution upon which the Olympic Karate movement was established in the United States. The AAU Karate movement began about 1970 and the first AAU National Championships took place in Cleveland, Ohio in 1975 – 40 years ago! We come back to Ohio this 40 years later to honor those who have been a part of the journey. USA Karate™ is a registered service mark at the US Patents and Trademarks Office. Please contact us with any unauthorized use of the mark. INCORPORATED AS THE NATIONAL AAU KARATE COMMITTEE, INC.